You might remember last year we told you about a “raid” on an old ship that managed to save a bunch of classic arcade games. Now let’s see what happens when a raid doesn’t have such a happy ending. 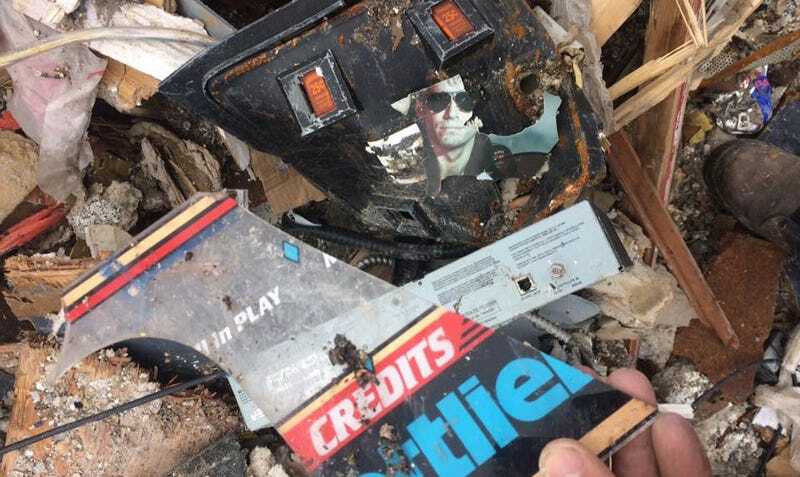 Tony Temple, who wrote up the nicer story from 2016, now has the tale of Ralph Link, who found out there was a massive stash of old arcade cabinets sitting in Argentia, a former US Navy base in Newfoundland. Link heard about the games when he bought an old Street Fighter II cabinet, learning from the seller that the base’s huge mess hall/officer’s club—where the SFII game had originated—had at one point been home to 40-50 “amusement cabinets”, most of them video games but also some slot machines, since Argentia was the only spot on Newfoundland where they were legal. Arriving at Argentia to investigate the lead, Link quickly found that the site—now being converted to a private “marijuana growing facility”—was no longer housing the cabinets. Instead, they’d been taken to a scrap yard four hours drive from the base. The tragedy here isn’t just that the games had been smashed. It’s that Link had only just missed them. A week earlier these arcade cabinets had been sitting in the mess hall alongside the Street Fighter game that Link had purchased. It was only during the time between buying that cabinet and making it out to Newfoundland that everything had been hauled off and destroyed. Ralph managed to salvage a few spare parts from the trash pile, and the trip wasn’t a complete bust: three cabinets (including a WWF game and the pinball title Raven) had been left behind at the old base, which he managed to recover. But the rest was toast. And Ralph estimates the worth of the rubble to be around CAD$20,000 (USD$16,500). Ouch. You can read the complete account of the trip at Tony’s site, while Link has his own Facebook page dedicated to Newfoundland’s arcade and pinball scene.